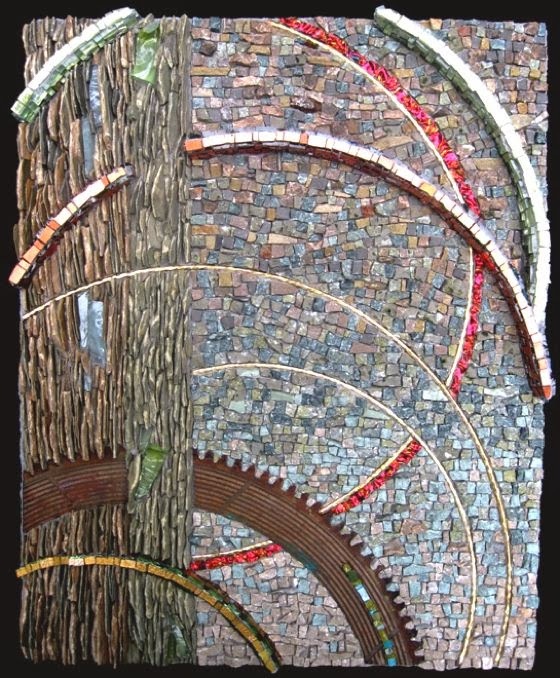 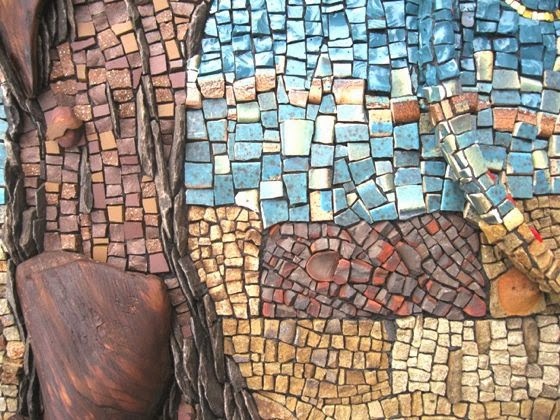 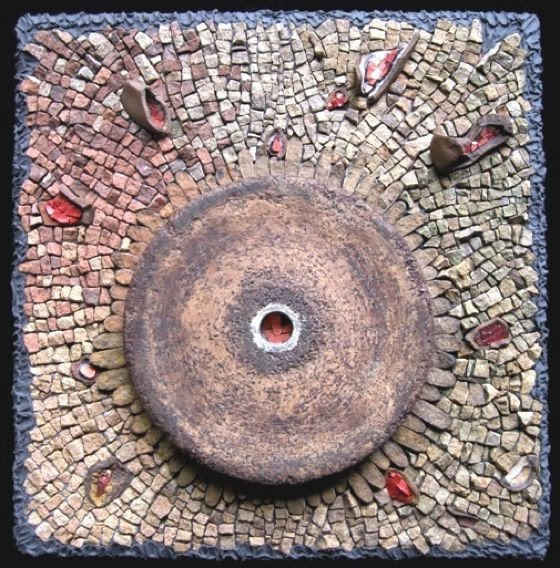 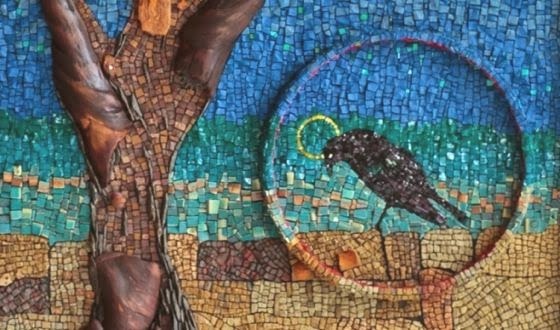 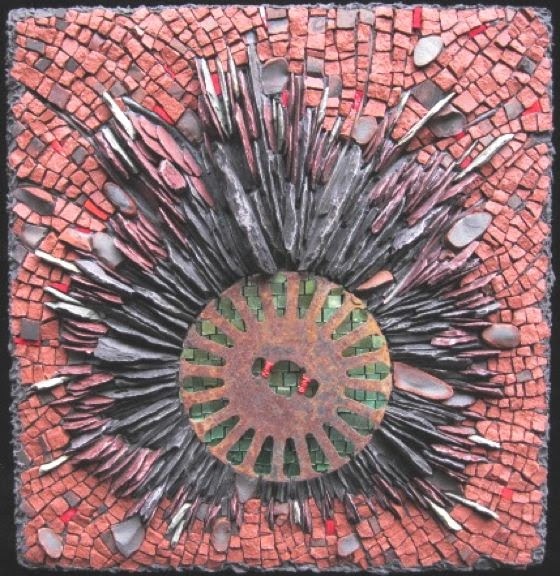 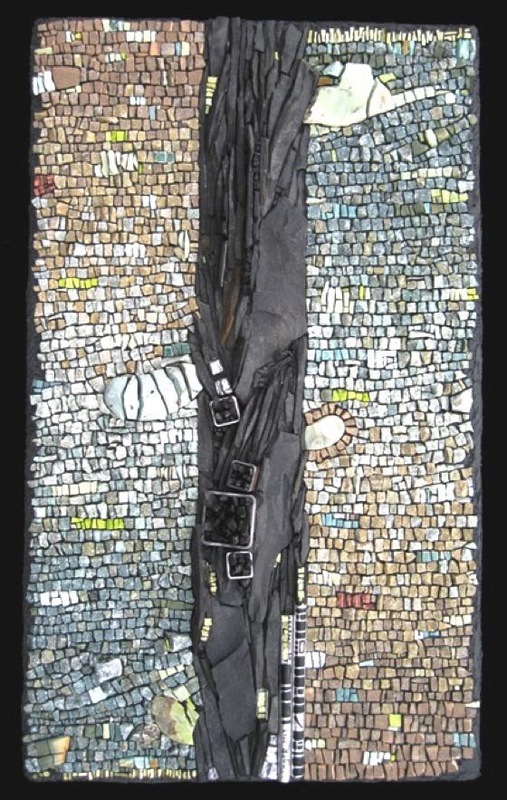 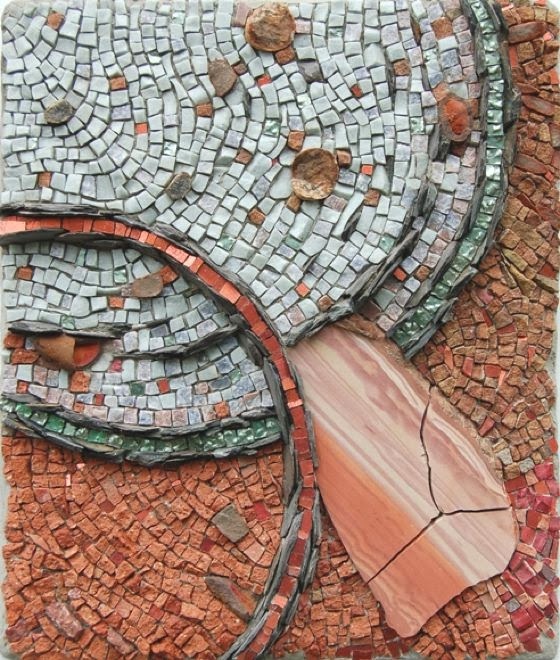 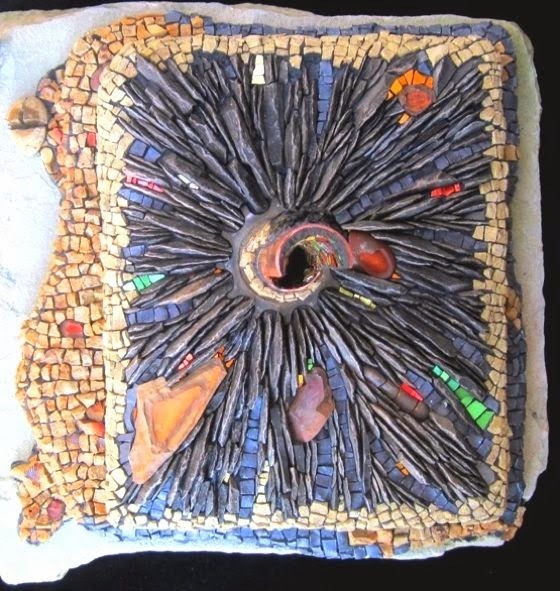 Rachel Sager is an extraordinary American artist who work with mosaics. 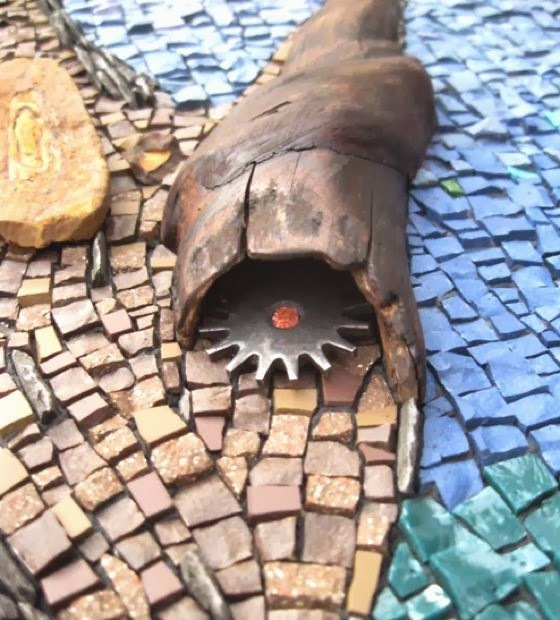 Her artistic process starts sifting into the ground to collect materials. 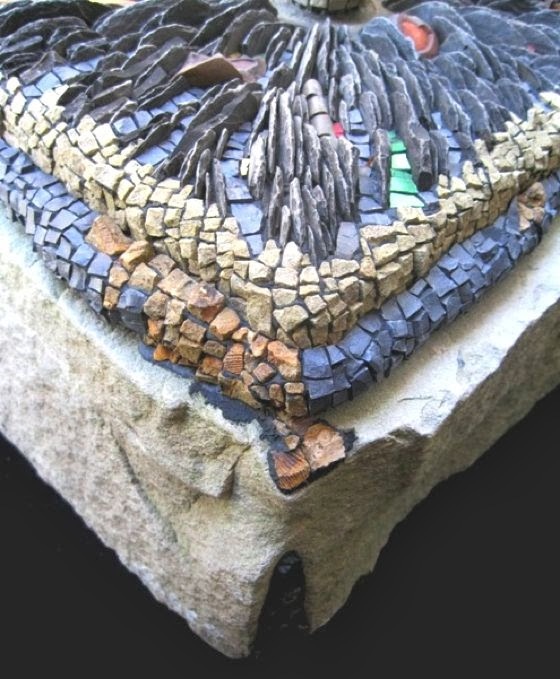 In her work there are geological features of her land, Pennsylvania: sandstone, limestone, slate, shale, coal. 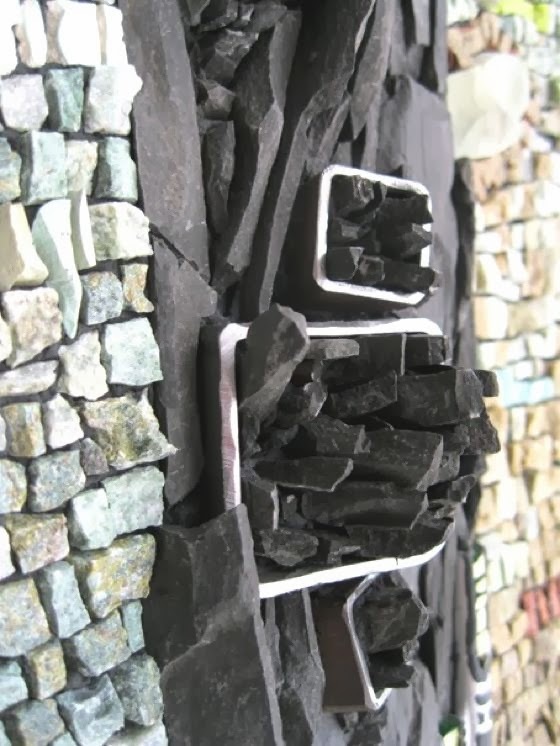 With a hammer Rachel reduces the large rock to rock smaller, and therefore still in little pieces, until she has stacks of small tiles that are the building blocks of her mosaics. 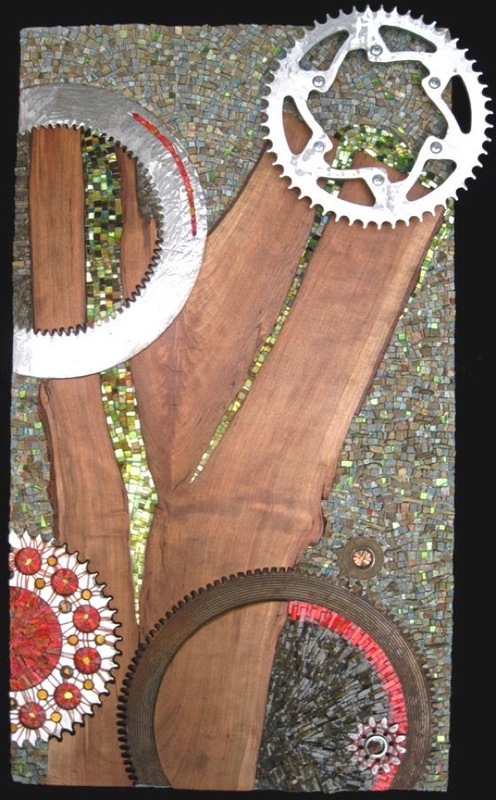 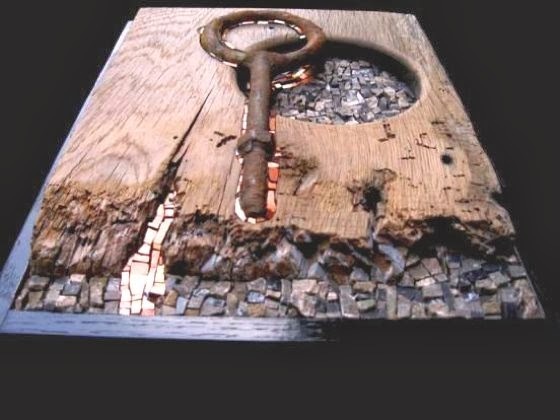 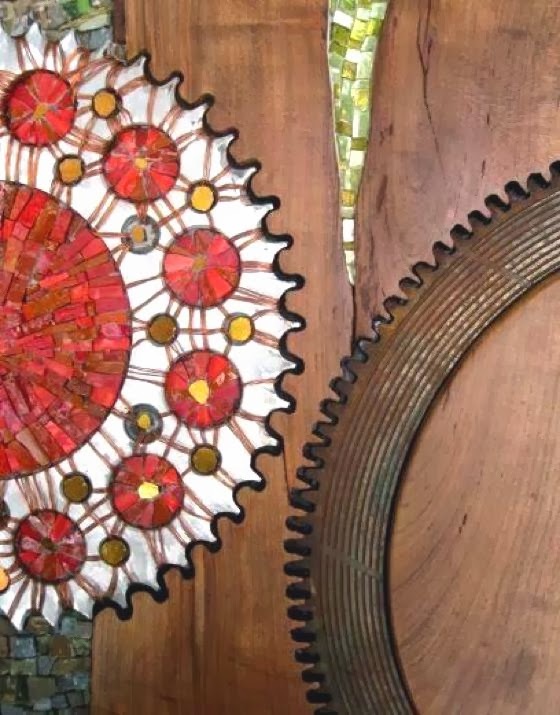 In addition to the local stone, Rachel loves to incorporate into her compositions wood and recycled metals. 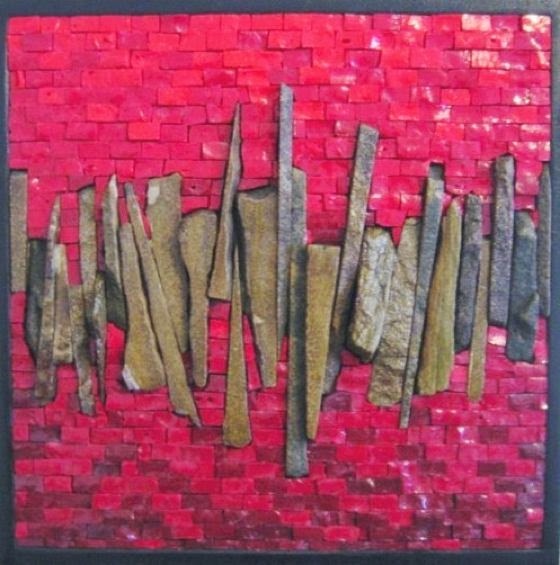 The surfaces of her works are lively, warm, and speak about its places of inspiration.